Is this cable HDMI 2.1 compliant? 2.0b compliant? I just upgraded my 4k TV and to the newest Blu Ray player standards. BEST ANSWER: The cable is a Premium High Speed cable. Cables cannot be classified by version numbers. This is inaccurate, cables can be classified by the HDMI standard they support. For example, an HDMI 1.4 cable can only support 10.2Gbps while a 2.0+ can support 18Gbps. 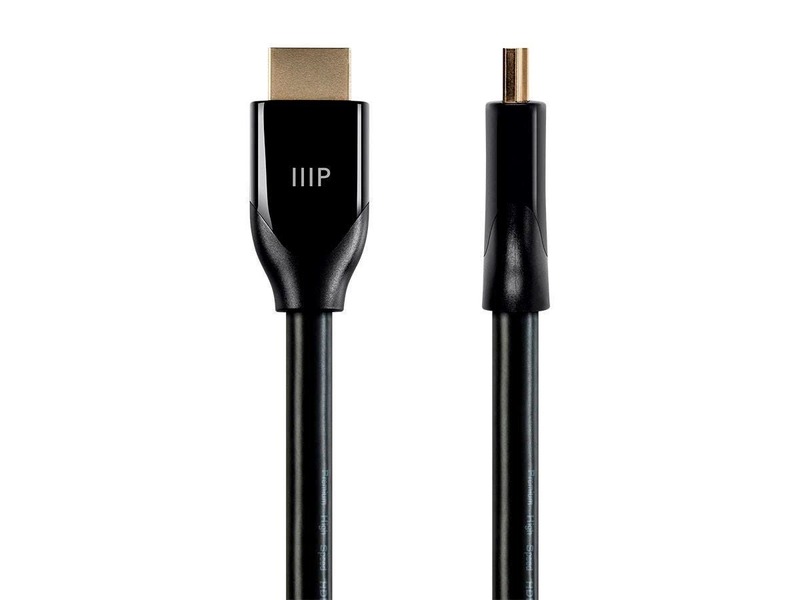 An HDMI 2.1 cable should be able to carry up to 48Gbps, though there aren't any mainstream 2.1 devices. See /// below, note photo with label, and cable titles below. Yes, the cable should serve the purpose. Is this cable ok with a 1080p tv ? BEST ANSWER: Yes it’s perfectly fine for 1080p TVs. HDMI cables are backwards compatible even though it’s rated for 4K or higher resolution TVs. Is this cable HDMI2.0a? It does not mention if its 2.0a standard; it just mentioned its 2.0. BEST ANSWER: HDMI cables are not classified by HDMI numbers. 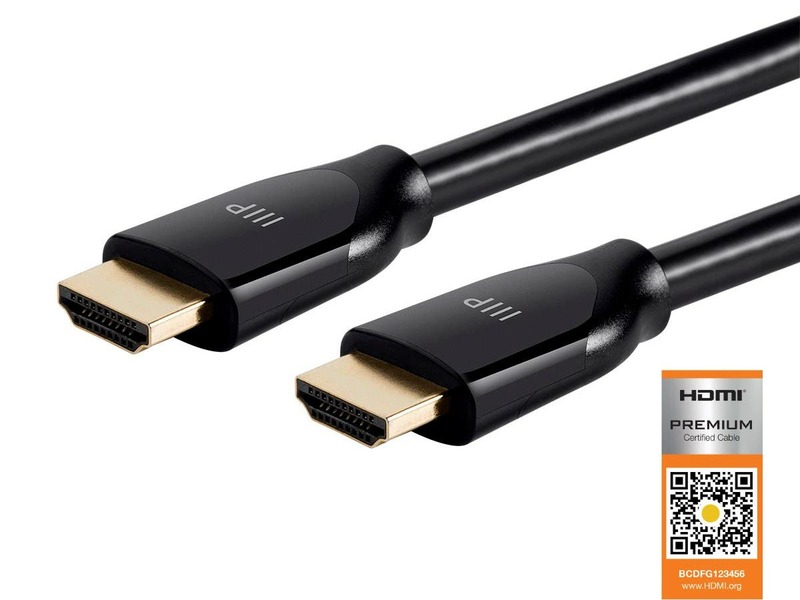 These are Premium High Speed cables as certified by HDMI.org. The HDMI 2.0b standard is fairly recent - "HDMI 2.0a" appears to be the same as "HDMI 2.0" without any modifiers, from what I can divine from the standards descriptions. 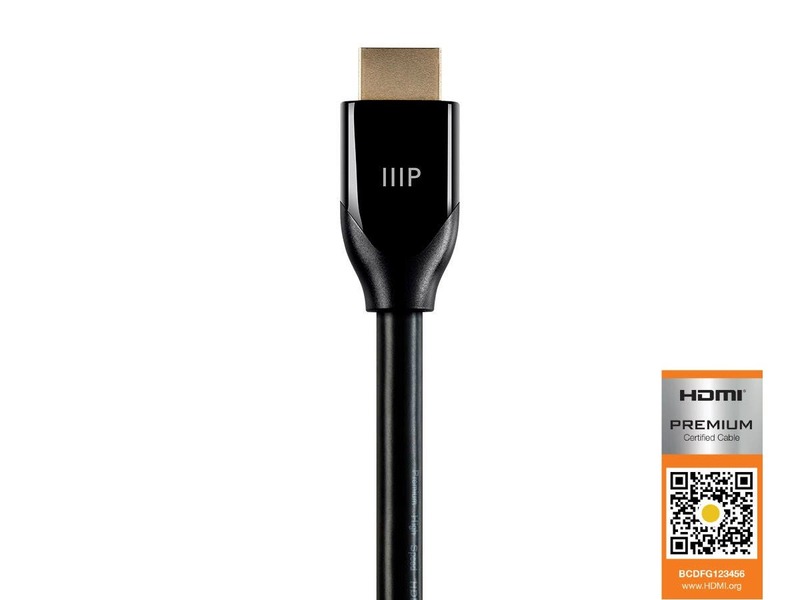 (Or, put another way, HDMI 2.0 became HDMI 2.0a when HDMI 2.0b was released.). So, based on that, this cable should support HDMI 2.0a applications. Ok. Thanks. I asked such question because I read somewhere that 2.0a supports HDR while 2.0 does not. Even there are 18Gbps cables that does not supports HDR but 2.0a really supports it. If this is real or not; Im not sure. I have a PS4Pro, XboxSlim and a Samsung 4K with HDR. This is not accurate, unfortunately. HDMI 2.0 and 2.0a are not the same, HDMI 2.0 didn't become 2.0a with the release of 2.0b. HDMI 2.0a is required for full support of HDR (with the except of the newer HLB HDR format, which requires HDMI 2.0b) though HDMI 2.0 may work. Other factors play a role in whether it will work, as I understand things, such as Frames Per Second, etc. I've had some success with HDR using a 2.0 cable, but I've had some intermittent issues as well. will this degrade the signal of 4k when used with certified premium high speed cables (15427)? BEST ANSWER: Audio and video is always a weakest link situation. As long as your 4K rated HDMI cables are less than the maximum for the run, you'll be fine with these. I used this to extend an oculus rift cable and it worked flawlessly. Are these directional? I see no markings to indicate they are. The two white 25ft cables I purchase did not include the certified premium barcode/label...? BEST ANSWER: Passive cables are not directional. This is a passive cable. No, they are not directional. BEST ANSWER: Yes, these cables are HDCP 2.2 compliant. I use them with 2018 model Sony TV and 4K Blu-Ray player and Denon AVR, and everything works perfectly. BEST ANSWER: Be aware that SOME of their HDMI cables very much ARE directional. They come with a rather obvious tag on the appropriate ends so it shouldn't be an issue unless you ignore the stickers and didn't know it mattered. No. I have connected several of these with no attention whatever to what end goes where and they work perfectly every time. No they are not directional. Can this be used with any of the Monoprice HDMI switches? BEST ANSWER: Sure can. They are most always universal. Some have a locking mechanism that wont lock into some equipment but these are Good cables for shorter runs. If you have a longer run I would look at their 24 AWG models that are active and boost the signal for the longer cable runs. What gauge are the wires in this cable? I want to use with the Monoprice 6259 HDMI switcher, which states "Note: Monoprice strongly recommends using 22AWG, 24AWG, or active HDMI cables with Redmere technology". But, the Monoprice cables don't seem to list their specific gauge ratings. I would assume that the high-speed cables are the correct gauge, but would like some confirmation before ordering. BEST ANSWER: Thank you for your question. 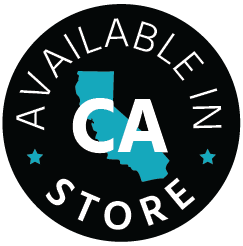 Our Certified Premium High Speed HDMI cables in the lengths of 3-15 feet will be 28AWG and the 20-25 foot lengths will be 26AWG. Since they are certified by an HDMI.org approved test facility they ensure a full 18Gbps signal. You should have no issue using these cables with switches or splitters. I hope this helps. What is the bending radius of this cable? I need to fit it onto a tight corner . It will bend in a 90 degree angle with no problem. are these cables okay to use inside a wall? BEST ANSWER: Not sure. I think they can be but you need to know where they are so not to put a nail through them. Look into inside wall cables. There might be special cabling preferred. Yes. All mine are inside the walls. Are these certified to be run in-wall? How wide is the connector? Need to make sure this will fit through my conduit. Is this cable riser-rated (e.g., CMR, FT4, etc.)? BEST ANSWER: This cable would be CL3 rated. Is this HDMI Cable 4K @ 60Hz or 24Hz? BEST ANSWER: These cables are capable of doing 4k@60hz. So this cable will pass all HDR formats? I was told 2.0 cables could only pass certain HDR formats and if i got 2.0a cables and they pass all HDR formats? BEST ANSWER: This one cable is fine. I haven't had any issues with my Samsung 43" HDTV 4K picture. It's a great one as far as the human eye can see. The highly priced cables are a waste of money. Good luck! Does this HDMI cable support ethernet? BEST ANSWER: Thank you for your question. Yes, this cable will have an HDMI Ethernet Channel. BEST ANSWER: When it comes to TV's there's two refresh rates - source and display. The maximum refresh rate for a source is 60hz. What a 120hz display does is flash the 60hz signal twice, giving twice the frame rate (making it smoother). A 240hz display would take the full 60hz signal and flash it 4 times, creating a very smooth image. So these cables will be able to provide you with the full 60Hz refresh rate and your TV will handle it from there. Just be sure that your AVR will support a 60Hz signal. What is the difference between this cable and the 15428 cable? Also why only 3 per customer? One cable ships with free shipping. The other is ideal for bulk orders. Thank you for asking. Is it possible to connect three of these cables together with two couplers and still pass 4K @60Hz 4:4:4? I'd be looking at: 3-6 foot run behind wall + 10 foot run from TV to one wall + 10-15 foot run from wall to source. Total length would be between 23-31 feet. Alternative would be to purchase the 25 foot cable and run it direct from source to TV through the wall without any couplers. That would not be recommended. Recommend HOSS or DynamicView series long length HDMI cables. What is the difference between this and Product ID: 15427, the "non-essentials" version? Do these cables support Dolby Vision? 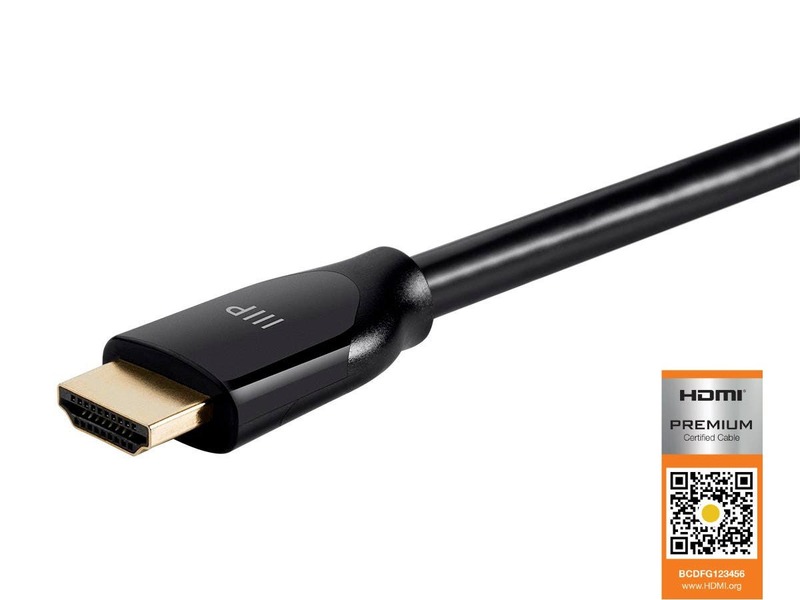 Hi, does Certified Premium High Speed HDMI Cable, support Dolby Vision on Apple TV 4K? Certified Premium Cables support all HDMI features and capabilities. thanks for asking. Why?why?why? and double why? can't you guys put in the description of your HDMI CABLES if they are VERSION 2.0 or 1.4 why?why? Can’t remember for sure, but I do recall I ordered particularly for a PS4 Pro set up. I have it matched with a Sony Bravia XBR-65X930D. I did a fair amount of research for all my devices. Do these support Dolby vision hdr? Have 2 25ft cables. Might be having a handshake issue? I have this cable running from my PS4 Pro to my OLED C7P. While playing COD WWII(HDR) and Overwatch(non-HDR), the screen flashed, showed pinkish snow, then went black. Changing inputs/un/plug cable brought back picture. Does this sound like a handshake issue? Just got TV and want to make sure it's not the OLED(so pretty). 20ft is sufficient enough, but wanted some breathing room and thought cause these are Certified that they would work at this length. I would like to run the cable to my Denon 4300 receiver, then this cable to my OLED C7P, but with this set up, my PS4 pro will pass 2160p through the Denon, but no the HDR signal. This is why I have the cable hooked directly up to TV(ARC back to receiver and lowered sound format). Thought it might be a receiver issue cause my OPPO passes HDR thought it with no issue. I ordered an active cable and another brand(@20ft) to see if that will cure both issues. where is the measurement taken from on a 3ft cable? What are the dimensions of the head and diameter of the actual cable? I need to fit two of these through a small conduit. Before running the cable through the ceiling, I tested the 15 feet, 25 feet and 2x 25 feet for a total of 50 feet using the Monoprice HDMI Coupler, and I was able to pass 4K@60Hz, YUV 4.2.0 HDR signal, flawlessly at 50 feet without a hiccup. No problem passing 4K@60Hz, YUV 4:4:4 HDR signal at 25 feet and 15 feet but NOT at 50 feet using the coupler. This cable was not designed nor implied that it would pass 4K@60Hz, YUV 4:4:4 signal at 50 feet. Since all content right now use the 4.2.0 Chroma Subsampling, there was no need for me to fork for very expensive fiber cable. This cable is doing a fantastic job for what I use it for. Run 2x25 feet cables through the ceiling for a total length of 50 using the Monoprice HDMI coupler few months back and working perfectly so far. Heavy cable, solid connectors, another great item Monoprice! Once again, you've provided an excellent cable at a superb price! They work like they are supposed to. This cable is the best low cost cable on the entire Internet! Have purchased a TON of these cables, for myself & others, not the first one has failed. No more needs to be said! Excellent cables at a great price. Excellent performance and excellent price. Excellent cables perform as advertised.